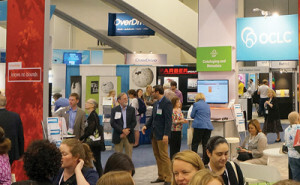 The exhibit hall at the 2015 ALA Annual Conference offered an almost complete representation of the technology products and services available to libraries in North America. For technology providers, the conference is an opportunity to showcase products to more than 20,000 attendees. Those considering resource management systems, discovery services, self-service or automated materials-­handling products, ebook lending services, or digitizing equipment can get a firsthand glimpse of the available options. 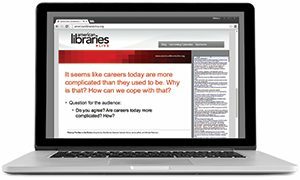 One current trend in library technology aims to improve the engagement of patrons with libraries or to provide tools to help users work more effectively. In many respects, the technologies on display reinforced the theme of the “Library Systems Report 2015,” operationalizing the innovations brewing in recent years, including the increased adoption of Semantic Web technologies or linked open data, an emphasis on user experience, and ever more emphasis on optimizing interfaces for mobile devices. Resource management products, including library services platforms and integrated library systems, generally mature in features, now distinguish themselves in their ability to enable optimized workflows for library staff and to deliver actionable data and statistics in support of intelligent collection development. Discovery services compete on the comprehensiveness of coverage, improved relevancy rankings, and tools that help users explore collections and engage with library services. Providers increasingly tout the application programming interfaces (APIs) exposed by their products to enable interoperability and extensibility, especially important to larger libraries that exchange data and services with many external systems. 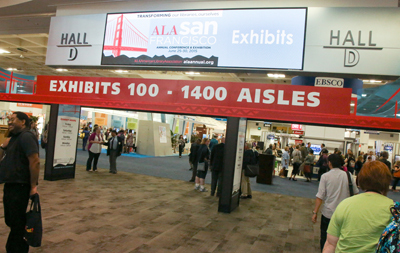 The exhibit hall entrance at the 2015 ALA Annual Conference in San Francisco (photo: Curtis Compton). The ALA exhibit floor reflected an industry dominated by a small number of large companies that are challenged by a tier of midsized and small companies. Innovative Interfaces came to the conference with news that more than 600 libraries have selected its Sierra integrated library system (ILS). The company has completed its initial installations of the national project awarded earlier in 2015 for all of the public library services in Ireland. Innovative has also joined the Zepheira Libhub Initiative to encourage the adoption of linked data by libraries using its Sierra, Polaris, or Virtua products. Initial services include the extraction of records for transformation to BIBFRAME or schema.org data models. 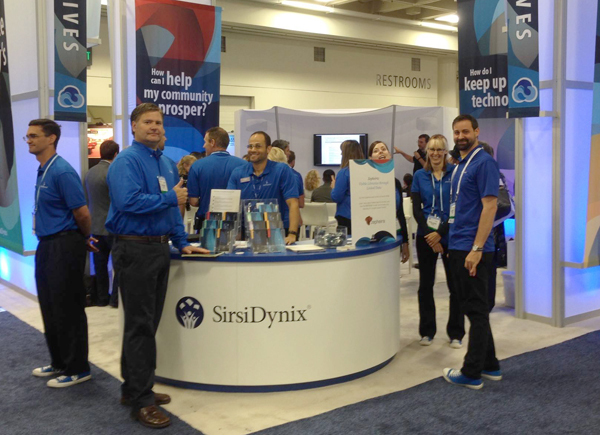 The BLUEcloud brand was featured at the SirsiDynix booth, consisting of an expanding suite of web-based products that work in tandem with the company’s existing Horizon and Symphony platforms. In addition to eResource Central for ebook and electronic resource management, and its Enterprise and Portfolio discovery platforms, SirsiDynix is rolling out BLUEcloud versions of selected ILS modules. SirsiDynix has also taken the plunge into the realm of linked open data, engaging with Zepheira to develop products and services to help libraries gain better exposure of their resources on the web. Ex Libris Group has pulled out all the stops in promoting Alma, its library services platform designed specifically for academic and research libraries. News promoted at the conference included the selection by the 23 California State University campuses to replace the previously separate components for print and electronic resource management and discovery with a systemwide implementation of Alma and Primo. An announcement made just after the conference mentioned Leiden University as the 500th institution to select Alma. Ex Libris and EBSCO Information Services announced an agreement that will improve full-text linking and optimize workflows through the acquisition of print and ebooks from EBSCOhost into Alma via the APIs of the respective platforms. This agreement may represent a warming in relations between these two companies that were recently in a high-profile dispute regarding metadata sharing. The Library Corporation (TLC) demonstrated both its Library·Solution and CARL·X integrated library systems. Featured products include the new CARL·Connect modules that provide web-based interfaces for selected modules of CARL·X, consistent with this broad industry trend. TLC has also become active in engaging its customer libraries with social media and now serves as the exclusive distributor of the SocialFlow platform for this sector. Auto-Graphics featured its VERSO ILS and the SHAREit resource sharing solution. One of VERSO’s newest customers is the Rancho Mirage (Calif.) Public Library. ProQuest continues to foster interest in Intota, its upcoming comprehensive library services platform. 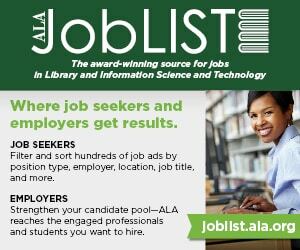 The company announced an expanding list of libraries that have acquired and implemented its initial Intota offering that focuses primarily on the management and discovery of electronic resources. ProQuest is showcasing Intota v2, anticipated for release next year, which adds print resources to the mix. John “JG” Chirapurath, appointed in June as senior vice president and general manager of ProQuest Workflow Solutions, now leads the Intota initiative. The author (left center) chats with an OCLC rep in the busy exhibit hall (photo: OCLC). ALA attendees were able to visit with OCLC reps and discuss its incredibly diverse range of products and services. Its technology-oriented products increasingly converge around two platforms: WorldShare for tools intended for use by library personnel, and WorldCat for services presented to library patrons. Prominently featured offerings included WorldCat Discovery Services as the successor to both FirstSearch and WorldCat local, with the added perk of an article-level index. WorldShare Management Services, offering management of print and electronic resources, continues to see wide adoption, especially in academic libraries. OCLC announced that VU University Amsterdam in the Netherlands was the latest of some 330 libraries to select WorldShare. Follett demonstrated its impressive line of products and services oriented to PreK–12 schools and districts. In addition to its books and electronic content products, Follett demonstrated its Destiny family of technology products, including those for library management of textbooks and other assets. Biblionix, focusing on small public libraries, demonstrated its fully web-based Apollo ILS, which has been implemented by more than 500 libraries. The Dutch company Reindex demonstrated its library management system oriented to special and school libraries. Insignia Software presented its ILS oriented to schools and small academic or public libraries. BiblioCommons came to the conference showing off new enhancements to its BiblioCore discovery service and patron engagement platform for public libraries, as well as the BiblioCMS service it recently launched to deliver a comprehensive web presence. The new BiblioCore catalog was designed to be especially useful on mobile devices. The adoption of BiblioCMS by the Columbus (Ohio) Metropolitan Library to front its Polaris ILS was announced at the conference. SeeSearch, based in Dublin, Ireland, demonstrated its library-resource discovery interface that features a visual representation of result facets. Open source library management products attracted considerable attention. ByWater Solutions, providing hosting and support services for the Koha ILS, demonstrated a new MARC record editor it is developing. ByWater also highlighted its partnership with EBSCO to integrate EBSCO Discovery Service for libraries using Koha. Equinox Software promoted its services for Evergreen and Koha, its Sequoia hosting platform, and its other suite of services for open source software. The Evergreen community also hosted a booth to promote this open source ILS. Media Flex demonstrated its open source OPALS integrated library system that has been widely adopted by school districts as well as small libraries, such as those in churches and synagogues. LibLime demonstrated the open source platform that it has recently branded as Bibliovation, which it offers exclusively as a hosted service. Index Data welcomed conference attendees to discuss its open source products and technologies. Index Data infrastructure components are used behind the scenes in many technology products used by libraries. 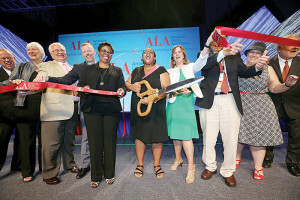 Though the Kuali Foundation did not have an exhibit, ALA attendees had multiple opportunities to hear the latest developments surrounding the organization’s open source OLE project to develop a resource management platform for academic libraries on panels and programs. Early versions have been implemented in three academic libraries. LibraryThing has launched a new catalog and circulation system for small libraries called TinyCat. Oriented to libraries with collections fewer than 10,000 titles, TinyCat provides a modern and full-featured online catalog that makes use of the LibraryThing database and platform. The majority of items held by these small libraries may already be represented on LibraryThing, greatly simplifying the cataloging process. The company also demonstrated LibraryThing for Libraries, a service to deliver cover art, tags, and other enhancements to library catalogs. A number of publishers and vendors offering discovery services made announcements at the conference in support of the Open Discovery Initiative (ODI), which allows organizations offering content products or discovery services to document their conformance with the ODI Recommended Practice. Companies publishing statements of conformance to the initiative included EBSCO, ProQuest, Ex Libris, Credo, Gale, IEEE, and Sage. Products and services related to ebook management and access drew attention as public libraries face incredible challenges to meet patron demand and to forge sustainable business models. 3M Library Systems, a longtime player in security and self-service products for physical materials, continues to expand and enhance its ebook lending services. The new interface for its self-service kiosks aims to go beyond rote transactions to engage patrons, blending ebook offerings and recommendation services. Baker & Taylor featured its recently launched comprehensive Axis 360 mobile app to discover, download, and read ebooks. Odilo entered the North American ebook scene recently, offering new competition to the more established providers. Odilo’s catalog now includes front and backlist titles from major international publishers and enables libraries to create collections of ebooks acquired through other channels. Total Boox promoted its ebook lending service based on a business model that meters and charges based on pages read instead of title loans. On the academic ebook front, both EBSCO and ProQuest have strengthened their offerings. EBSCO launched its new ebooks mobile app and a new web-based viewer that improves the user experience for its ebooks on EBSCOhost. ProQuest demonstrated the beta version of its new Ebook Central platform, which brings together its incumbent ebrary and EBL services. The new Free Ebook Foundation was announced at the conference. This nonprofit brings together two prior ebook initiatives, Unglue.it and GITenberg. The foundation will be led by Eric Hellman and work on a sustainable model for the creation and distribution of free ebooks. 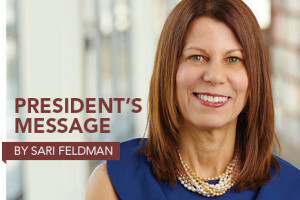 The strong presence of providers of self-service kiosks, sorters, and other automated material-handling equipment reflects the reality that interest in physical materials remains as strong as ever in public libraries. Some of the companies with technologies that enable libraries to manage and secure their physical collections included Bibliotheca, 3M Library Systems, D-Tech, Tech Logic, EnvisionWare, Lyngsoe Systems, P.V. Supa, and mk Solutions. Bibliotheca announced its partnership with NoveList to integrate recommendations into its new smartterminal line of self-service kiosks. Media Surfer from Tech Logic and computeIT from D-Tech are examples of equipment and software in support of automated lending services for tablets or laptops. EnvisionWare also showed off its PC Reservation solution, MobilePrint, and other print management products, and its Library Document Station for digital scanning. Evanced, now a division of Demco, demonstrated products that help libraries schedule access to meeting spaces, events, and programs. Comprise Technologies provides hardware and software products to help libraries manage payments for fines, fees, and services, either online or in person. Interest in technologies to help libraries reach their users with mobile devices has never been higher. Boopsie has established itself as a specialist in mobile technologies for libraries. The company’s platform can be used to deliver a mobile version of an online catalog or other virtual services. Boopsie demonstrated work it had done with the San Diego County (Calif.) Library to use its mobile technologies to increase engagement with its community. The mobile app pavilion in the exhibit hall highlighted mobile apps from a variety of publishers and service providers. Digitization continues as an important activity in libraries, including work performed by library personnel to convert manuscripts, books, and other collection items, as well as to enable patrons to scan materials to supplement or replace traditional photocopying. Companies that demonstrated scanning equipment included Digital Library Systems Group (Image Access), Scannx, BayScan Technologies, and Digital Transitions. ST Imaging specializes in creating digital images from microfilm. Seeing the latest tech provided by nearly all the organizations in the library industry is essential for anyone with an interest in keeping up with current products and trends. The breadth of personnel that most vendors brought to the conference was impressive, ranging from the top executives to product sales-and-support personnel and developers. In addition to seeing their products, it’s even more helpful to tap into vendors’ expertise, to hear their perspectives on pressing issues, and to learn about each company’s long-term plans and product road maps. It’s the networking and conversations that make spending time in the exhibits at the ALA conferences most worthwhile. 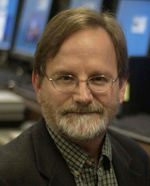 MARSHALL BREEDING is an independent consultant, speaker, and author.